You must be a member of the Jeddah Business Networking Group to attend this activity. Would you like to join this group? Are you a global expat looking for a professional advice?. Having a career/business move ahead or simply willing to meet industry professionals?. 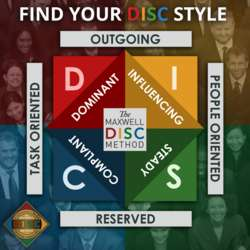 Maxwell Method D.I.S.C Personality Indicator. Find out What "S" stands for?